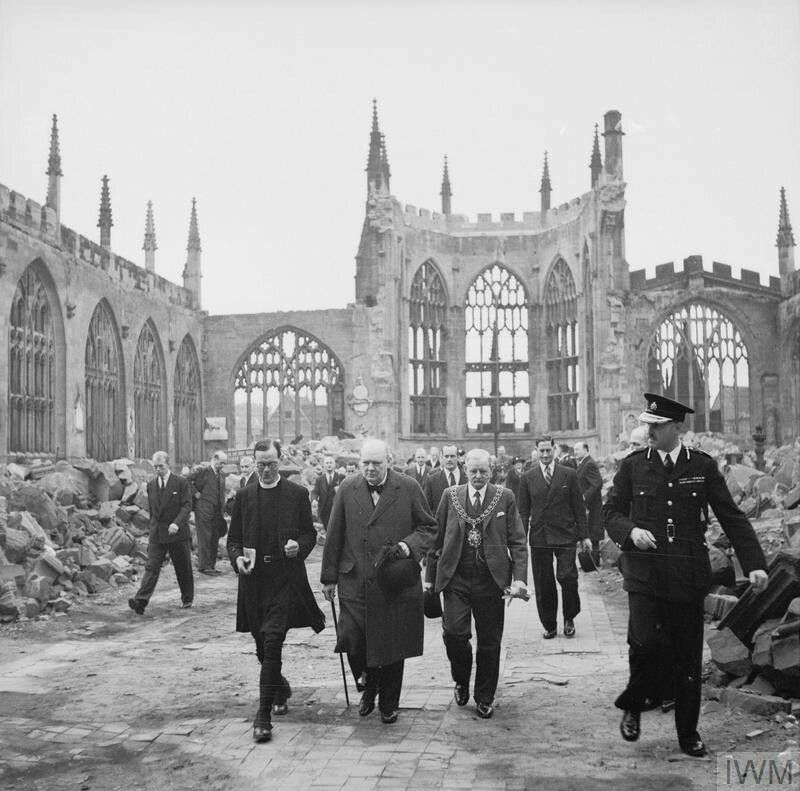 View of Coventry Cathedral on fire during the bombing campaign of 15th November 1940. The Cathedral's tower is to the left; the stained glass window's outlines are silhouetted from the blazing fire inside. 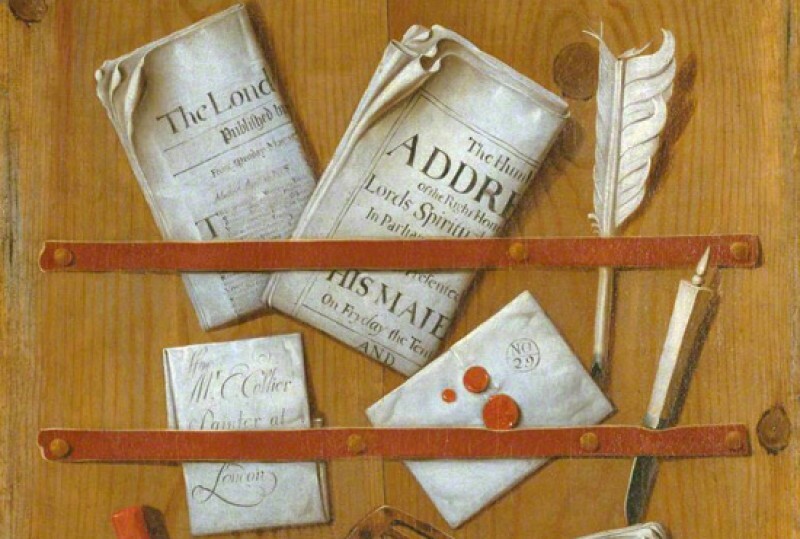 The paintwork consists of thickly applied, textured areas of paint, as well as featuring a distinctly bravura style of painting, where doodle lines are marked into the paintwork, reminiscent of smoke. The painting is often described as Neo-Romantic, referencing a return to eighteenth and nineteenth century Romantic subject matter such as the relationship between body and land, as expressed through the turmoil inherent in this Second World War air raid scene.